With Thanksgivng approaching, we have pie on the mind! This issue is filled with great recipes and our staff's favorite products for your Thanksgiving celebration. You simply can't have Thanksgiving without pie! And, you can be certain we will be in the kitchen baking pies this week. 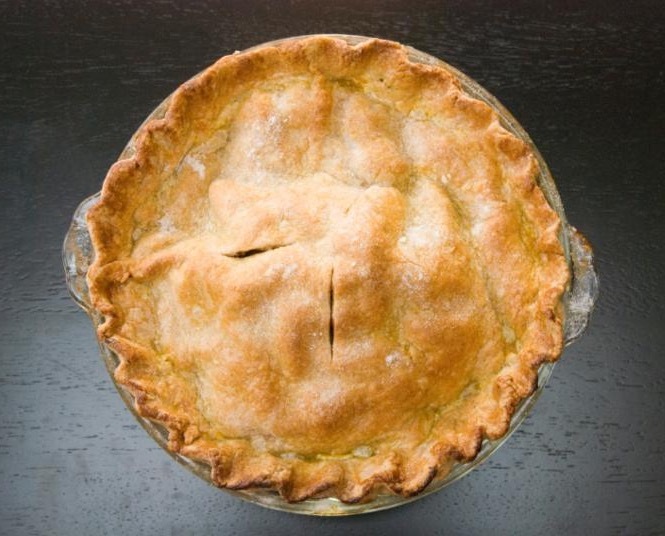 As we finalize our menus and gather our lists to go marketing, here are some of our staff's best picks for making your pie come out just right. If you are looking for out-of-season fruit, Willamette Valley Frozen Fruit does the job right. We carry peaches, strawberries, blueberries, raspberries, and marionberries. And, don't forget to pick up a few extra cans of Farmer's Market Organic Pumpkin Puree to stock for the winter. The spices you choose play a big outcome in everything you prepare, that is why we recommend Morton & Bassett for more dimensional flavor. They provide the best quality, most flavorful spices in the world. And we always use Nielsen-Massey Madagascar Bourbon Vanilla in our baking . It is complex, sophisticated, and intensely-flavored. This extract adds depth no other vanilla can match. And, we carry a variety of their other flavorings. And, then there is the crust. If you are making your own from scratch, we cannot overemphasize how wonderful King Arthur All-Purpose Flour is for pastry dough. It is consistent and dependable. And, for our gluten-free friends (and guests) you can't go wrong with Cup 4 Cup Multipurpose Flour. All you need to do is substitute it directly in a recipe, and it really works! 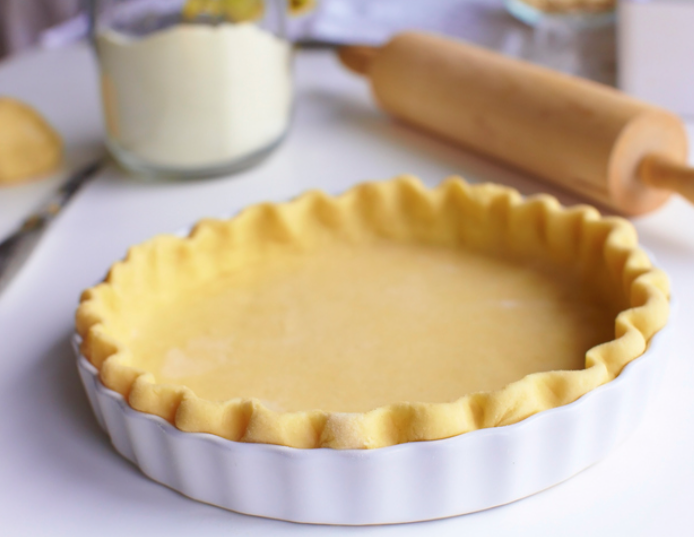 Flour, salt, butter…Our staff pick for pie crusts is Clover Sonoma Butter. They have been doing it right for generations and we can trust their products are consistently delicious. And for those of us for whom time (or skills with a rolling pin) is not on our side, Christine's Upper Crust Pie Crust s are ready to go. All you need is your favorite filing and a preheated oven. They are also available in gluten-free. Jazz at the Chimes is coming to an end with this month’s final concert. It has been a wonderful series and we are sorry to see it go. The folks at Piedmont Grocery has enjoyed supporting this Bay Area arts initiative. Mads Tolling takes you down uncharted jazz roads—and he’s back by popular demand! The two-time Grammy Award winner & winner of The DownBeat Critics Rising Star Poll is joined by effervescent pianist Frank Martin and innovative bassist Gary Brown, violinist. 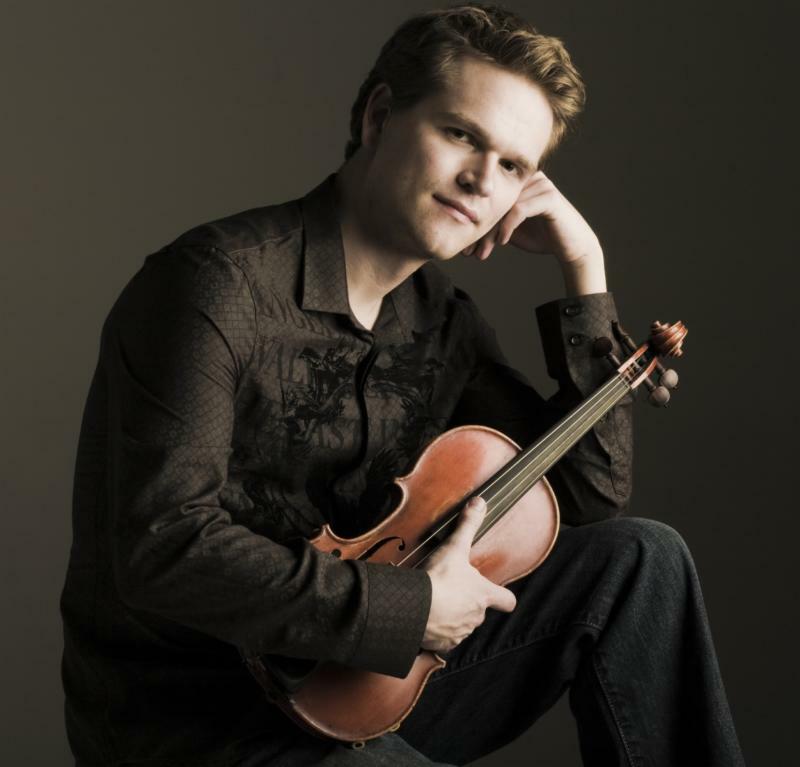 This concert is likely to sell out, so you may want to purchase tickets online. 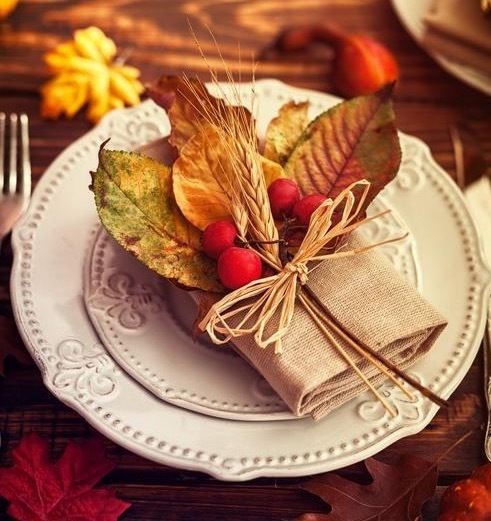 The most important meal of the year is coming up and it is possible for you to be completely prepared today. Piedmont Grocery wants to save you time in the kitchen so you can spend the holiday mingling with family and friends. We have a complete Thanksgiving dinner catering menu. And, you can choose to order everything, a few key dishes so you can focus on making the others, or simply purchase your potluck contribution. Piedmont Grocery has created a delicious selection for your Thanksgiving table. 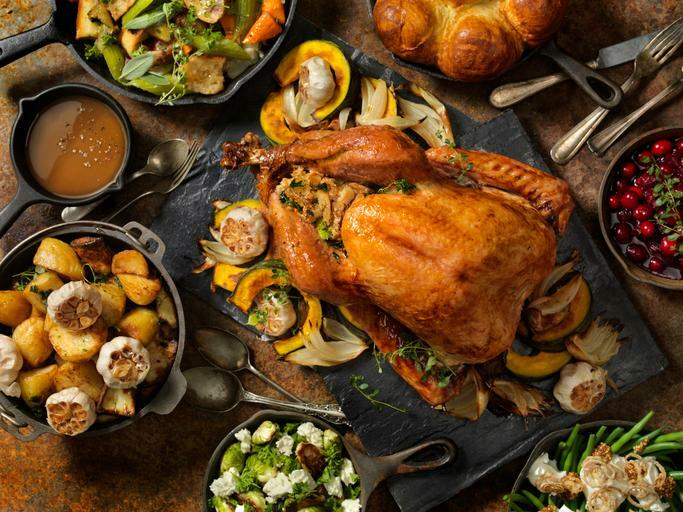 Download our 2018 Fall Holiday Dinner Catering Menu. And, see what we have to offer. You can purchase a few sides, pies, or roasted meats to contribute to a meal or potluck—or order an entire holiday feast. All orders must be received 48 hours prior to the Holiday. We are closed Thanks­giving, Christmas, and New Years Day. Kate McDermott, who learned to make pie from her Iowa grandmother, has taught the time-honored craft of pie-making to thousands of people. Here she shares her secrets to great crusts, fabulous fillings, and to living a good life. This is the only PIE cookbook you need. This book is beautiful with stunning photography. The book is written in story format, not page after page of recipes. It is clear that Kate McDermott has mastered the pie art, and she explains every detail with engaging narrative. McDermott lets us know in the book that she is now gluten-free too. 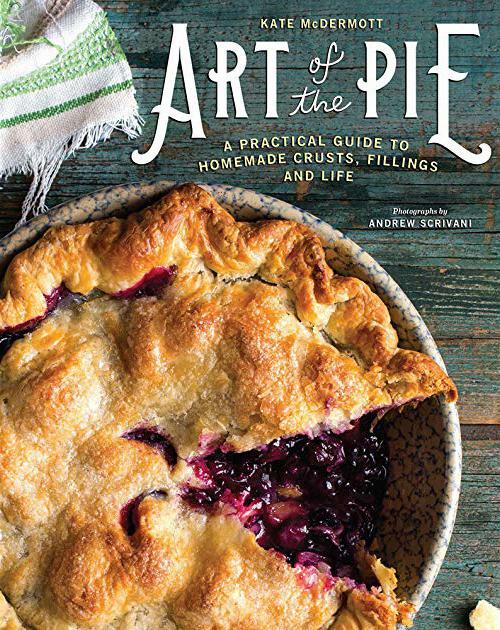 So, the book is full of gluten-free options for pies both savory and sweet. And, quite a few recipes are of particular interest for Thanksgiving including a Pear Cranberry Walnut Pie, Quintessential Apple Pie in a Cheddar Cheese Dough, and even a Apple and Quince Pie. The Poached Pear Sour Cream Caramel Pie with a Crumb Topping is amazing as are the Shaker Lemon Pie, and Chocolate Pecan Pie. If there’s such a thing as a pie guru, it’s Kate McDermott. Not just on crusts and fillings but life itself. A keeper. 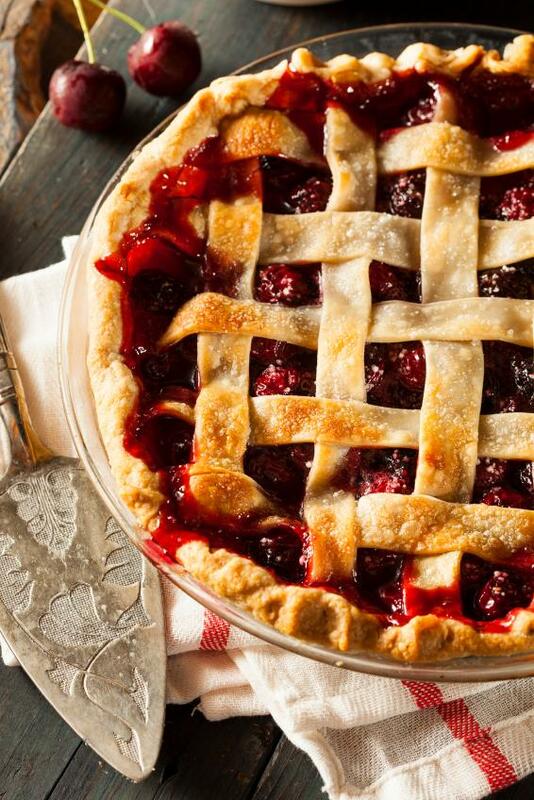 Here are some tried and true pie recipes for your Thanksgiving Dinner. This recipe gives some great tips for working the dough, and recommends lightly greasing the pie plate for easy serving—brilliant! I find that King Arthur Flour makes fantastic crusts—it is a staff favorite. This Caramel Nut Pie would make a great stand-in for pecan at Thanksgiving. It’s for anyone who loves nuts—especially if they are not a big fan of the gooey center. Fair warning, this pie is basically all nuts. It is as dense as it is rich. It is also very good. So, these are not precisely pie…but what a gorgeous complement to your array of Thanksgiving desserts! We ares sucker for anything that involves apples, pastry, butter, and cinnamon so these are a no-brainer. This recipe adapted from Cooks Country is the bomb! Now, and ice cream pie might not hold well with traditional, but we bet nobody will complain if they get a slice of Hula Pie on their plate. And, you need not turn on your oven for this dessert! It is possible to have an amazing, hot cherry pie come out of the oven with practically no effort! With the help of a jar of Dundee Tart Cherry Pie filling and frozen Uppercrust pie crust, the prep time takes only minutes. If you want a top crust on your pie, purchase two shells and roll the second one out for the top. The pie shells are also available in a wheat-free, gluten-free variety. Some Thanksgiving Tables simply must have Mincemeat Pie. No problem. We have an easy and speedy solution. T he jarred Robertson’s Classic Mincemeat that we carry in our gourmet department is just as good as homemade. We do add a splash of brandy. And, if you go with the Uppercrust shells (see Cherry Pie) it will be ready for the oven in minutes. Crab season has officially begun. And, Piedmont grocery has Half Moon Bay ocean run Dungeness crab in our cases. More will be arriving in the upcoming weeks, and we will keep you posted. So, come on by and grab some for dinner, or maybe a crab-based appetizer for Thanksgiving! 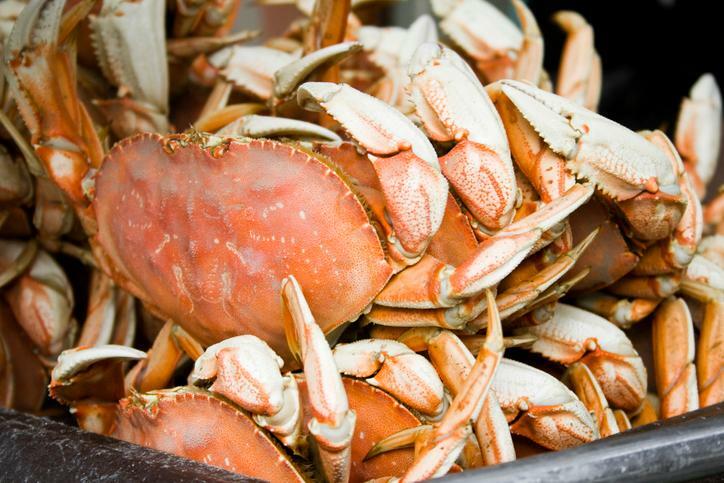 The California Department of Fish and Wildlife has declared that commercial crab fishing can start. A robust season is predicted by the Pacific Coast Federation of Fishermen’s Associations, with 20 million to 40 million pounds of crab expected to be harvested. You can always dial (510) 653-8181 and ask for the meat department to reserve your order. How to make your Thanksgiving turkey taste just like a Thanksgiving turkey. 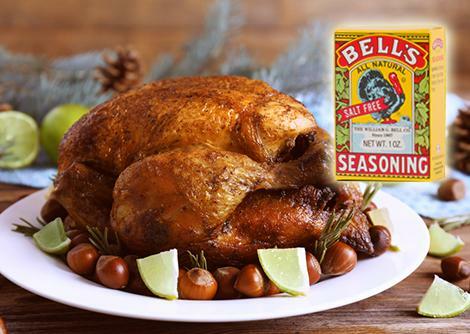 There’s a reason Bell’s iconic spice blend has been your grandma’s go-to for Thanksgiving every year. Bell’s unique blend of herbs and spices is ground to a fine powder that can be used under the skin of the turkey, in a basting mixture, and is vital to a perfect homemade stuffing. It is also great in gravies and soups. Bell’s still selects only the very finest ingredients and mix in small batches to assure consistency, freshness, and taste. 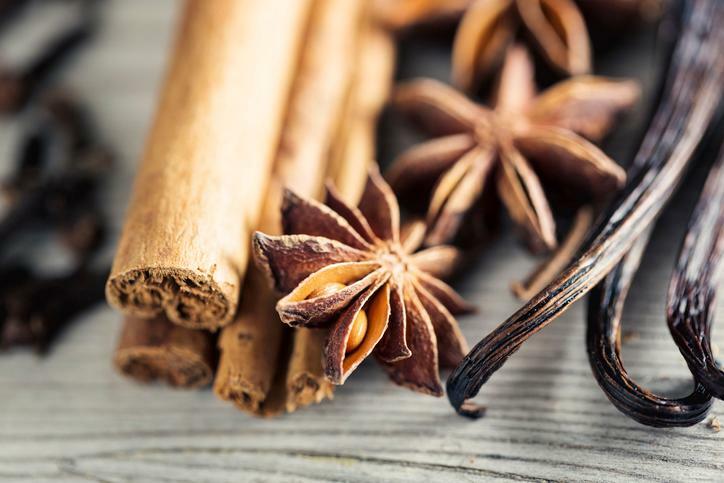 For 150 years, this iconic blend of spices has remained unchanged and is 100% natural, kosher, and salt-free. Thanksgiving wouldn’t be complete without Bells. It can be difficult to find Bell’s Seasoning if you don’t live in the Northeastern U.S. but we keep plenty in stock—or our customers just might riot in the aisles! Trust your elders and give Bell’s Seasoning a try. For me, Thanksgiving is going to be different this year if for no other reason that I will be hosting it for the first time. It should be an adventure given that we will be a party of 16. Granted, I annually host Christmas Eve for 14 so two more people shouldn’t be that big of a deal and it’s not. The difference is what I will need to cook and if it will all fit in my oven. I expect I will be much like a game of Tetris. As of right now, I have ordered two 18 pound organic turkeys which should be plenty—we’re big on leftovers. However, if there is one area of concern from those who will be seated around the table, it is whether there will be enough pie. Turkey is generally the centerpiece of any Thanksgiving meal and it is for us as well but the true star of Thanksgiving in our family is the pie and everyone has their favorite. This year, because we are blending three families for dinner, there is concern that there will not be enough pie and, of course, everyone is worried that their favorite will run out quickly which is why I will probably end up making 4 pies. My Dad’s favorite is mince pie. This is the pie most likely to have leftovers because he is the only one who eats it but it’s tradition so we gotta have it. In my family of five, it’s all about the pecan pie. If there is no pecan pie there will be rioting in the streets. I’m thinking I will also do an apple pie because, why not? 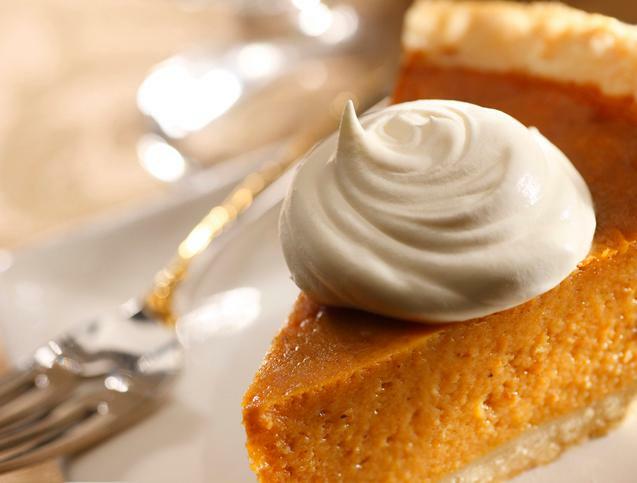 Last but not least, you can’t have Thanksgiving without pumpkin pie. We do pumpkin pie a little differently though. Growing up my mother always made the pumpkin pie. 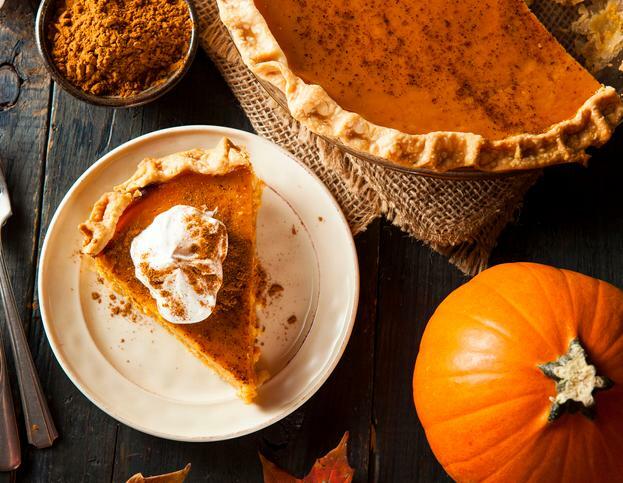 But, it wasn’t your usual pumpkin pie. Mom made Pumpkin Chiffon Pie. If you have never heard of it, and most people haven’t, pumpkin chiffon is basically a lighter fluffier version. And, Thanksgiving wouldn’t be the same without it. Since this is the first Thanksgiving without my Mom, there is no question that her pie will be there…. Mom always made this pie using a traditional pie crust but feel free to use a graham cracker crust if you prefer. 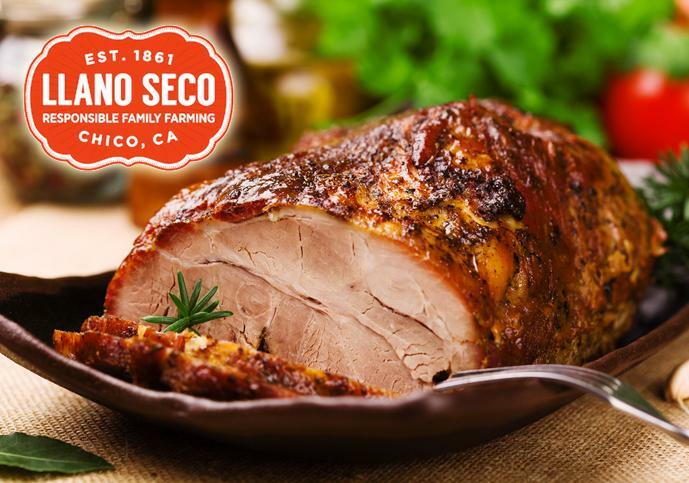 Our love of local and sustainably-sourced food has inspired us to begin carrying Rancho Llano Seco Pork. This is pork like we have never tasted. Llano Seco has created a sense of place an terroir that is unique in the U.S. They have been raising their hogs how nature intended. And, they have a superior and tastier product to show for it. Llano Seco pigs are insulated from harsh weather, allowed to root and socialize freely, encouraged to feed on a specially-grown, high-quality diet, and humanely slaughtered at a more mature age. This allows the meat to develop and mature naturally into an exceptionally flavorful pork. f you are living gluten-free, you have eaten your fair share of disappointing baked goods. One bite and you immediately recognize that GF, ersatz flavor. And, if you have gluten-free guests coming for dinner, you no longer need to stress about what to serve them. Just prepare your usual dishes and substitute Cup 4 Cup wherever it calls for flour. 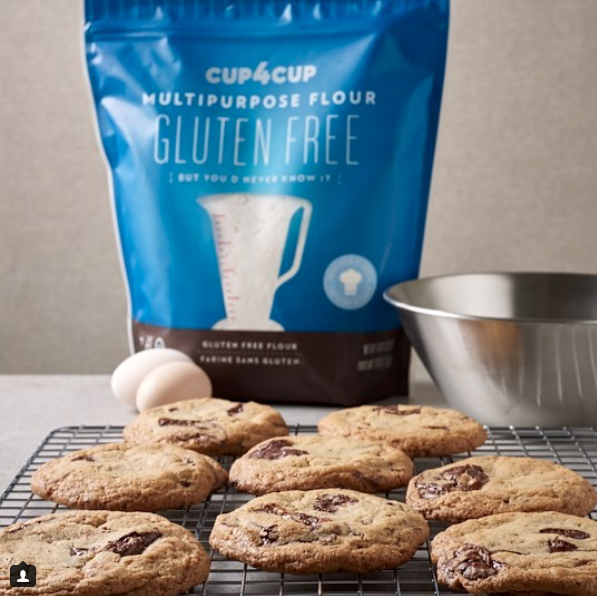 Cup 4 Cup Multipurpose Flour was developed by chefs of Thomas Keller’s acclaimed restaurants, Cup4Cup’s Multipurpose Flour is the original gluten-free flour and first 1:1 substitution for all-purpose and wheat flour in most any recipe. 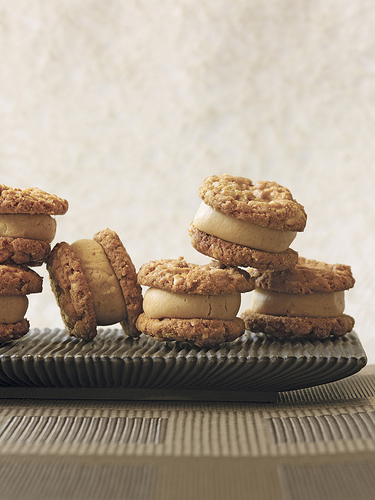 Unlike most gluten-free flours, Cup4Cup has a neutral flavor that won’t change the taste of your favorite recipes, making it the perfect gluten-free solution for your favorite cookies, cakes, cupcakes, quick breads, pie crust, gravy and sauces, scones, muffins, and homemade pasta. Whenever you hear people raving about their favorite Thanksgiving dishes, usually it is the stuffing. or the sweet potatoes, or even the homemade cranberry sauce. Rarely is it about the vegetables that are served as sides—or at least that has been my experience. 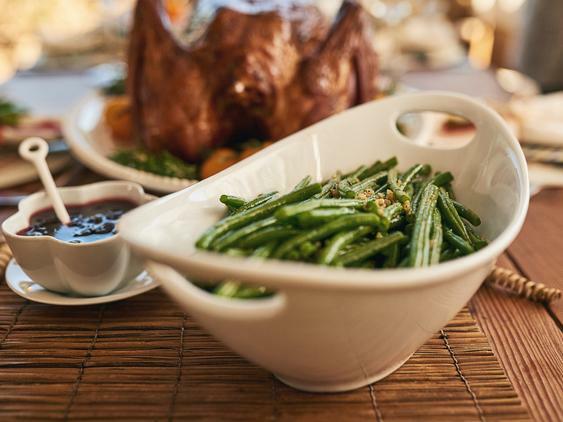 Not going to lie, if there are some greens on my plate at Thanksgiving they are there solely out of guilt for the obscene amount of carbs and gravy that I have piled up on my grandmother’s Wedgewood plates. Since I am hosting the big event this year I have been compelled to come up with a vegetable side. And, I am finding it challenging to locate a recipe that I am willing to make and would work well with the rest of the meal. True, I could do my favorite Spinach Gratin. But, I am concerned that the cream and cheese would be too rich with all of the other caloric goodness on the table. Yes, I could do some Brussels sprouts but the truth is, I hate them. I have tried so hard to like them and occasionally will order them if offered when I am out enjoying a nice dinner just to see if a different recipe will do the trick but, alas, they are still gross. Even with bacon. So, I think I will end up going with tried and true green beans as a vegetable side this year. Most people like them and they are fairly easy to prepare in large quantities. I could steam and toss the beans in a little garlic butter. But, I may lose my mind and go a tiny bit fancier and make something like these Green Beans with Hazelnut Gremolata. When in doubt, I always reference Ina..
We ran this post a few years ago, and are digging it out of our archives because it is a great resource. Since most people only cook a turkey once a year, it can be a challenge to get things just right. And there are so many ways to prepare a turkey. Hopefully this will answer the questions that may come as you think about preparing your turkey for the big feast. 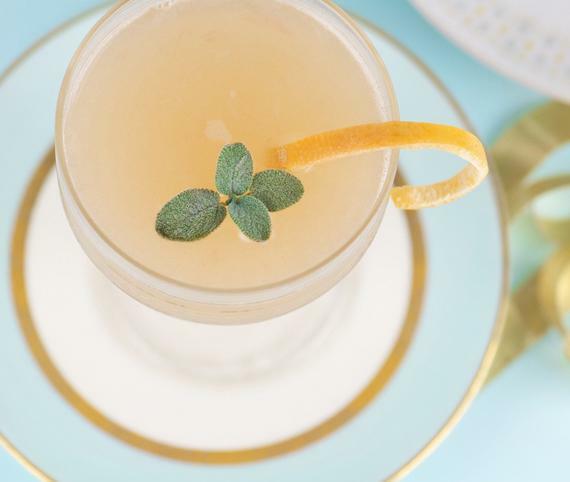 Planning Your Thanksgiving Menu has a fantastic list of archived recipes that are perfect for a holiday spread—cocktails, soups, sides, desserts…everything you need to celebrate well. If you are planning to cook a Thanksgiving turkey or other dishes, now is a good time to Clean Your Oven Naturally before cooking Thanksgiving dinner. Nobody wants the house filled with smoke from a dirty oven on a holiday! This post has the instructions. 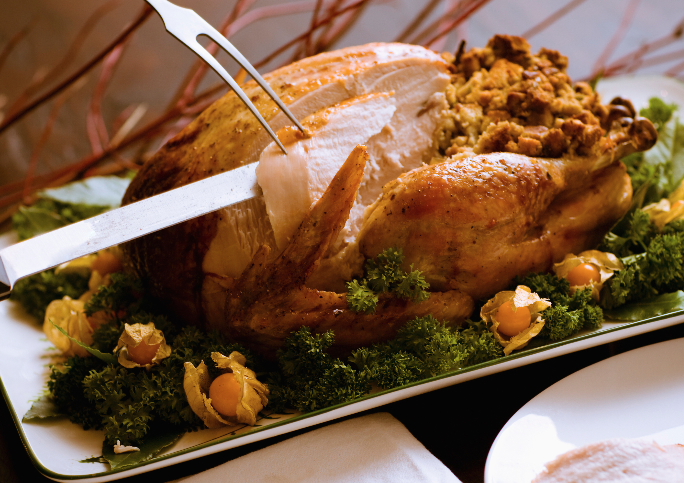 And our November Newsletter from 2013 had a list of Tips, Tricks and Sleight of Hand to help you streamline your Thanksgiving prep. Stock Options stocks are a game-changer. No longer is there a tremendous difference between home-made stock that you might happen to have in the freezer and what you can grab at the store. They are fresh, and delicious, and can change the way you cook. These classic, all-natural products are created entirely from scratch, in small batches, with a great investment of care and time. Only freshly roasted bones, hearty vegetables, and premium spices are allowed into the kettle and simmered for hours to ensure the richest flavor. Naturally free of preservatives, thickeners, gluten, and added salt. Use Stock Options whenever you want very little effort to pay wonderful dividends at the table. 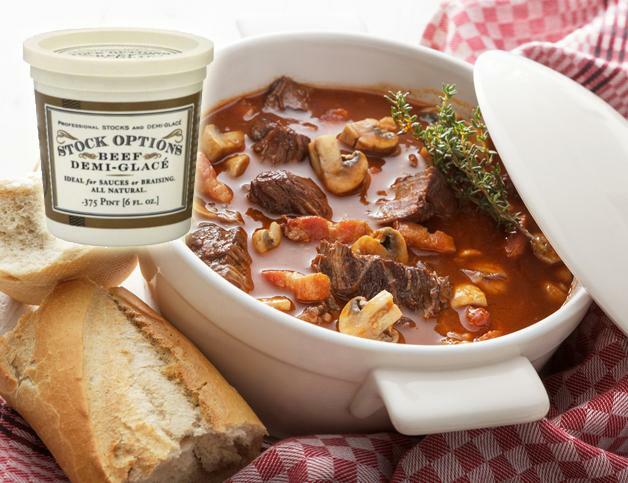 These stocks are ideal for braising, sauces, soups and risottos. You can find them in 28-ounce containers in the freezer section of our store. And, you will be happy you looked for them! 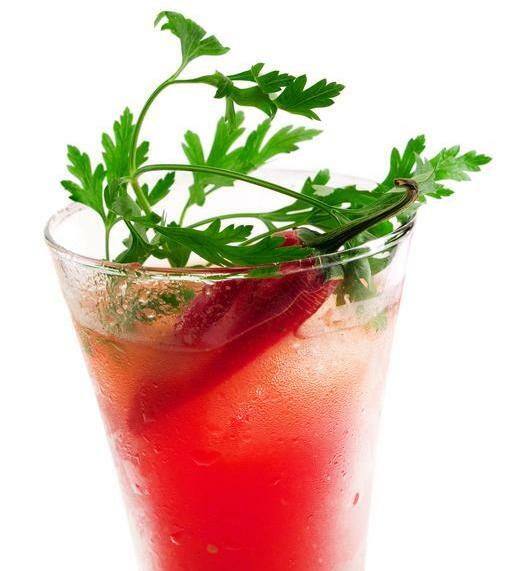 What are you drinking with your Thanksgiving meal? Our experts in our Wine & Sprits Department have come up with three recommendations. All are delicious for their price range. Cheers!